Not everyone needs a watch winder. 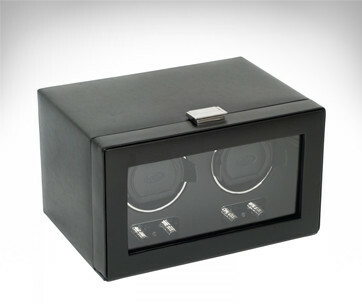 But if you happen to own a luxury timepiece that runs full automatic to power its mechanical movement, then a watch winder is an absolute must to help you keep your priceless timepiece at its peak performance. 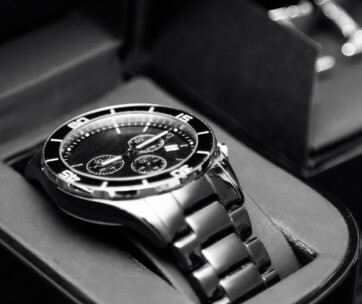 Luxury mechanical watches use the energy generated by the natural swinging movements of one’s arm. 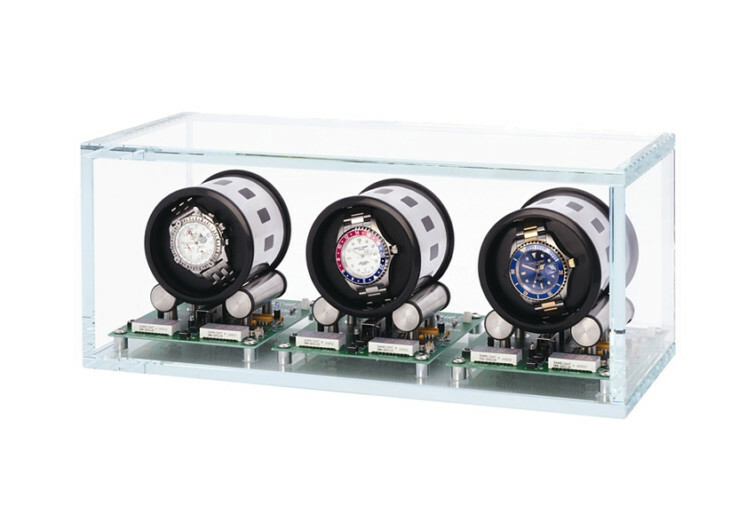 And since these timepieces technically stop keeping time after about 30 or 40 hours of inactivity, setting them on a watch winder can help ensure they are at their peak functionality. When it comes to watch winders, one of the most talked-about today is the Orbita Tourbillon W35003 Triple Watch Winder in Crystal Glass. The Orbita Tourbillon W35003 Triple Watch Winder is a one-of-a-kind watch winder that looks more like an expensive display case perfect for showcasing your array of luxury fully automatic mechanical movement wristwatches from the likes of Rolex, Maitres du Temps, Christophe Claret, Bulgari, and Patek Philippe, just to name a few. The crystal glass measures three-eighths of an inch thick, providing an elegant showcase or miniature display cabinet that only the finest chronographs have the privilege of being accommodated. Shine some mood lights into the crystal glass casing and you’ll be transported into another dimension. But the heart of Tourbillon W35003 is not in its elegant glass casing. 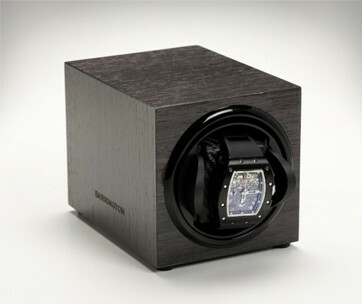 This distinction lies in its programmable watch winder that features a highly advanced watch winding technology that helps guarantee your favorite timepieces – all 3 at a time – will get the safe and gentle winding that they deserve. Such precision winding can only mean one thing – Orbita acknowledges the importance of keeping your chronographs in their peak levels of performance so that when you do decide to wear them, they’re more than ready to keep you abreast with the passing of time. Premium stainless steel cylinders work synergistically with fully-removable cushions that are designed to be exceptionally soft and smooth to serve as a gentle cradle for your wristwatch regardless of the thickness or diameter of your timepiece. Of course, you don’t want even a tiny speck of imperfection to ruin the timeless beauty of your mechanical watch. You’d prefer it to move in a sweeping motion, the way mechanical watches are supposed to be. The Orbita Tourbillon W35003 comes with three watch winders, ingeniously set on an equally-elegant glass platform. This provides you not only with a mechanism to keep your watches in tiptop shape, but also the ability to turn every bit of timepiece you have into a magnificent work of art. The Orbita Tourbillon W35003 Triple Watch Winder is as revolutionary as it is elegant. It is a superb piece of technology that venerates the supremacy of automatic mechanical wristwatches, encased in a crystal glass display that effectively turns it into a wonderful piece of art. It simply is a marriage of science and art.